Hey there! 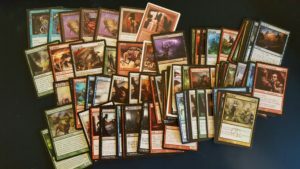 Last week, I wrote a quick overview of obscure (at least to me) basic lands that are worth more than you might expect, and why those basic lands can be a subtle way to get some more value out of your collection. 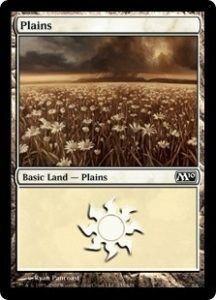 I wanted to continue on that thread a little bit more, and review one of the more popular basic land types that a lot of people speculated was going to increase in price over time. Unfortunately, the time has long past when you could pop a pile of BFZ basics in your trade binder, and use them as throw-ins or even out a trade by valuing these at $.50-$1. The market has flooded enough over the past year that it’s almost impossible to find a vendor who will take them at more than a nickel a piece, and that’s for NM copies. 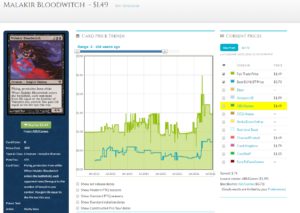 Remember last week, when I suggested using SCG’s buylist as a general rule to determine the price of abnormal basic lands? 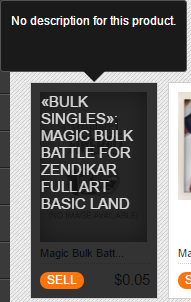 Well, I’d like to rescind that recommendation when it comes to the Battle for Zendikar full-art lands in particular. 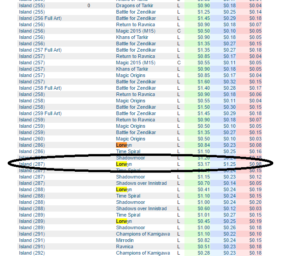 If you’ve been looking up the prices on your own abnormal basics on SCG’s buylist for yourself, you might already have a good idea as to why I’m suggesting this. Yeah. 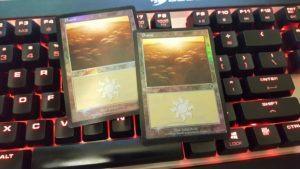 I mean, I didn’t expect anyone reading this article to suddenly start buylisting their full arts for literal pennies; you all are smarter than that. I don’t fault SCG for basically saying “no thanks” to any additional full-arts either, as I’m sure they have tens of thousands of each version. 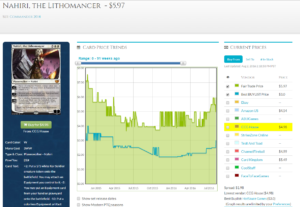 Still, there’s got to be a better metric for determining both what you should be paying as a local buylist, and what you should be trying to get if you’re unloading BFZ full arts for maximum gain. BFZ non-foil full arts are in a weird spot. 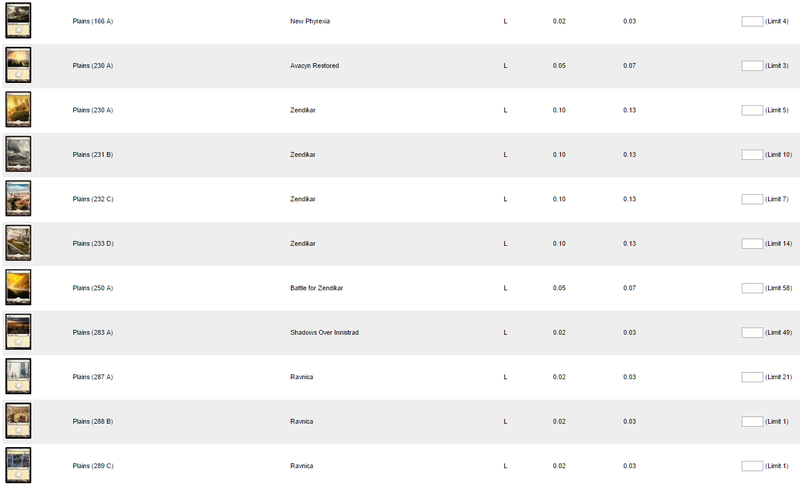 On one hand, you can find a seller on eBay moving them in pars for $.99 with free shipping. 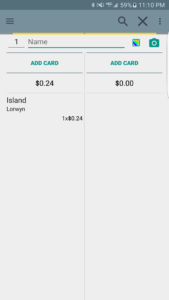 After eBay fees and a stamp, this seller is making less than $.25 per copy, but that’s still actually a reasonable profit margin based on the current retail buylist prices. The problems that arise from trying this method, of course, would be competing with all of the other sellers on eBay who have the time and patience to list all of their BFZ full arts. The fact that some stores sell these for the “old” price of $.50 to $1.00 can also make it difficult for you to try and reason with a potential seller who expects *you* to be able to resell for that much. If Timmy does a quick eBay search for his ten full art lands and sees the below picture, he might ask why you can’t give him 25 cents a piece; after all, you’re literally doubling your money! 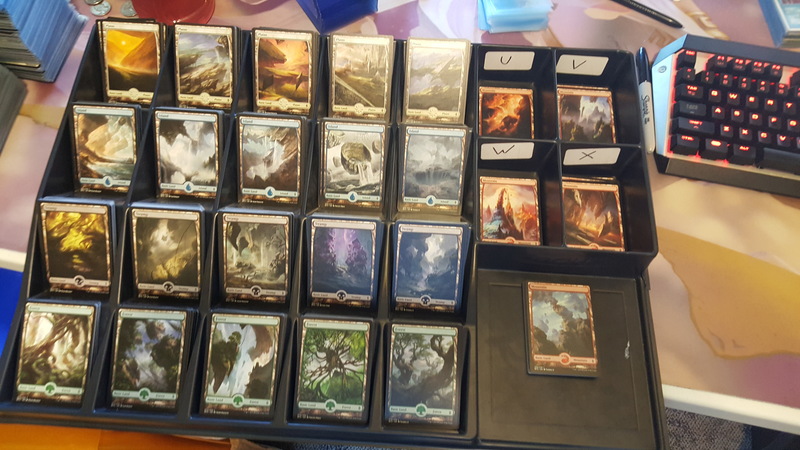 If you do have that time and patience to sort, grade, and list all of your full art lands, then I could actually recommend listing them on TCGplayer, depending on your situation. 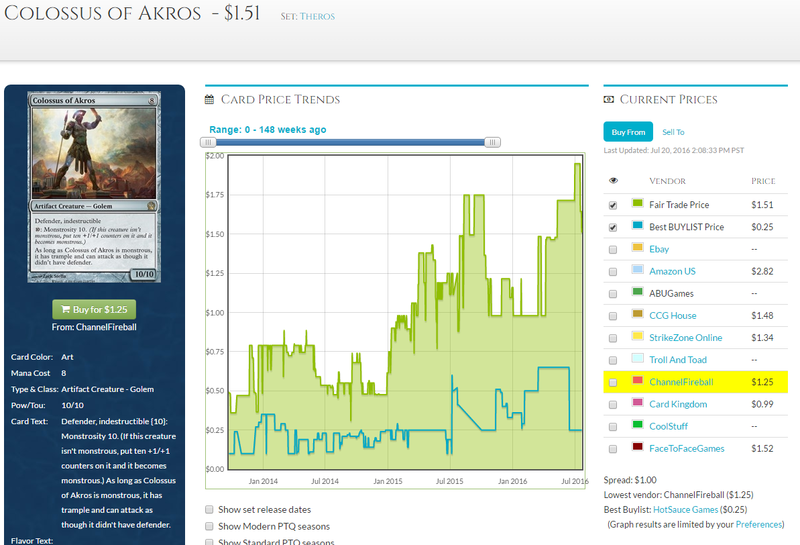 If you have a large enough inventory to support players making purchases of larger varieties of cards, it could be worth listing them all at approximately $.25 each, and hoping that buyers add them into their cart while purchasing other cards that makes it worth your while I’m sure the venn diagram of TCG Direct sellers and people who read my article has a minimal amount of overlap, but sorting into 25 piles is easier than some of the other sorting us dedicated sellers have to do. In fact, a BCW sorting tray makes it pretty simple overall, it’s just grading that might be a little tedious. I think I just talked myself into trying that out while writing this article. 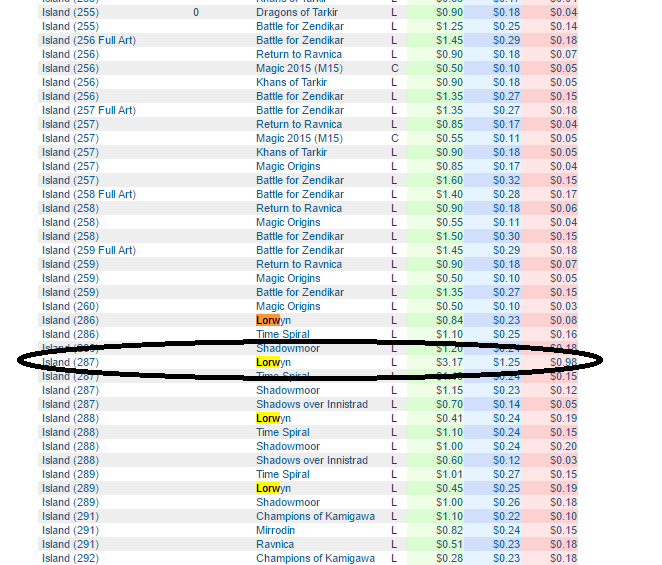 I’ll try listing a bunch of BFZ basics on TCGplayer in conjunction with my relatively large inventory, and see if I can get any sales that beat out the buylists by a significant enough margin. I’ll get back to you on that. Another way to sell these off might just be my favorite method of buying and selling Magic cards in general; local Facebook groups. If you can find a newer player who missed BFZ and Oath of the Gatewatch and started with Shadows Over Innistrad, you can help them get their sets of full art lands on the cheap at around 15-20 cents per card. 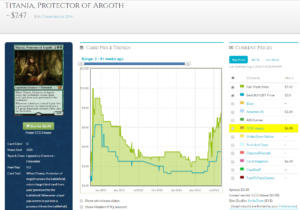 If SCG is paying a penny each, and we’re trying to get $.15-20 per land on a good day, that doesn’t leave us a whole lot of wiggle room for determining our own buy price. I checked out a couple of the other more competitive buylists (the ones that were easy to search, that is), and here are a couple of my findings. 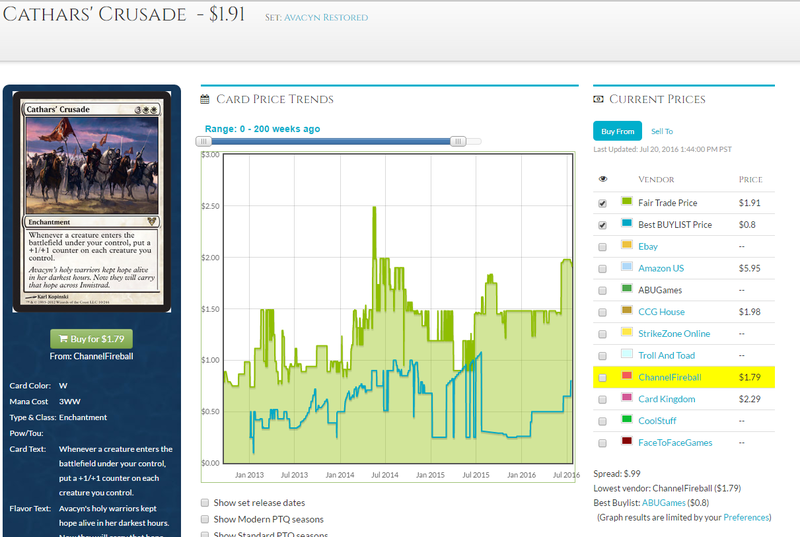 Okay, so the average buy price is around $.05, with CK bringing in some really odd outlier numbers depending on the art. 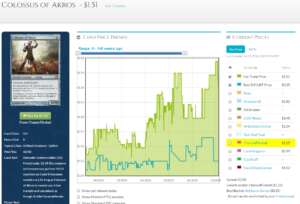 I guess you should check your basic full arts if you’re ever already in the process of creating a buylist card to Cardkingdom, because you might be able to get a ridiculous multiplier on trading in your dime lands for real cards. Just be careful to check the limit on how many they’re willing to take, and remember that they have a reputation for grading harshly when it comes to condition. On the other hand, CFB has a “bulkier” approach, just paying 5 cents flat on every NM BFZ land that walks through the door. Personally, I like this approach a lot more; I’ve been paying 5 cents each on BFZ basics for the past few months whenever I pick up collections, but I haven’t really had an “out” for them other than specific requests from customers. 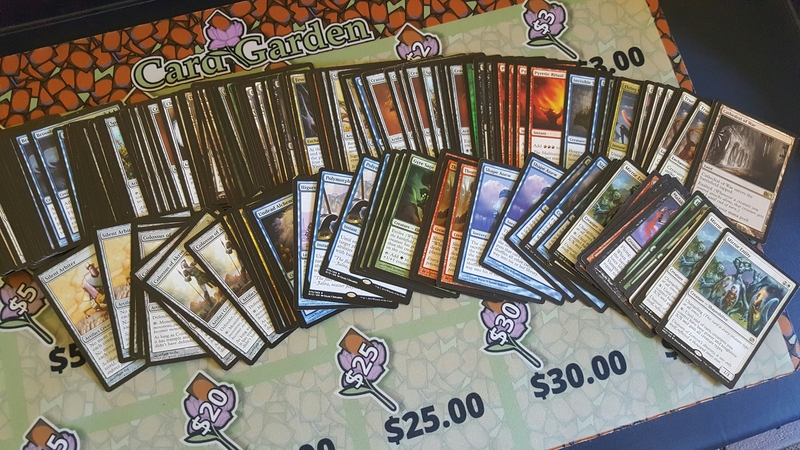 I tried leaving a box of unsorted full art lands out next to the display case at 20 cents each, but my customer base would rather pick out five bulk hydras and dragons for a dollar instead of five basic lands that don’t devastate their opponents in casual and Commander games. There’s been a significant increase on a bunch of Commander 2014 singles lately. Some of them make sense, but I’m curious as to why the rest have been creeping up lately. Maybe that’ll be what I write about next week, but here’s some graphs to keep your minds sharp while you’re scouring trade binders or picking up specs this week. Shadows over Innistrad, Zombies, Gisa. No brainer. I, uh… hmm. There’s a few “equipment matters” cards throughout the block, but most are red…. I’ve got nothing. Hmm… Call the Gatewatch? It seems like a stretch, but I’ve got no other ideas. Hey everyone! I hope your summers are all going great. I’ve been selling some Magic cards on Twitter, and trying to save up money to set aside for my first semester of grad school in the fall. It’s been going pretty well so far, but this week I was absolutely swamped with some pretty large collections that I couldn’t turn down. That’s not necessarily a bad thing, but I’m going to have to have a relatively quick turnaround on these than what I’m normally used to. As much as I would love to rinse and repeat that paragraph a few times and hit “Publish” so that I could get back to collection buying, I did actually find something worth writing about while I was piecing out one of those previously mentioned collections. Yep. I mean, I know that the art on a card can affect the price, that’s some pretty basic finance. 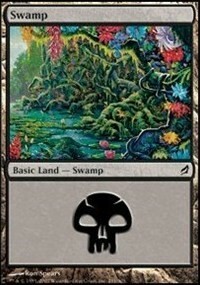 I’m just surprised to see the price of a non-foil basic land affected to such a degree when it’s not full art. While these are both gorgeous pieces, there’s got to be another underlying reason for such a drastic price difference from all other Lorwyn block lands, right? Okay, that makes a lot more sense now. Thanks to @thatresolves on Twitter for solving that mystery for us! 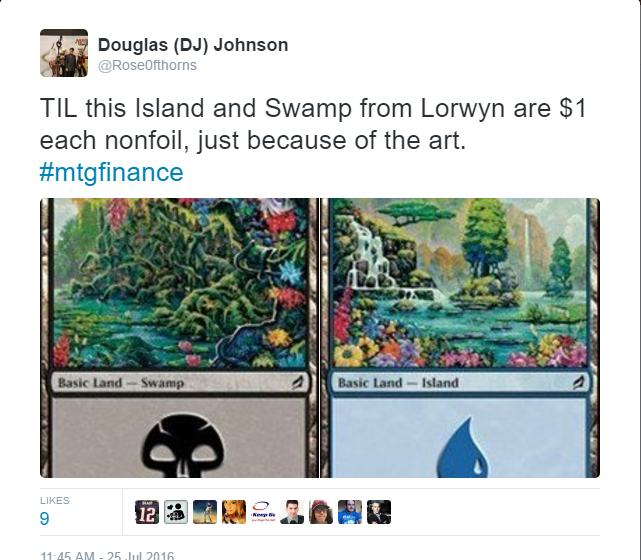 It makes a lot of sense that Fae players would want the lands that represent where their mischievous little creatures come from, more so than the “traditionally fancy” full-arts from Zendikar or Unhinged. While I really don’t have a battle plan for moving these non-foil $1 basics, it’s certainly nice to have that knowledge for future picks and pulls. Maybe you can throw them in an Ogre box at $.25 and see which vendor bites once you explain that they’re $1+ retail. 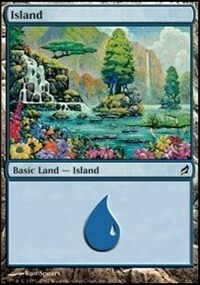 All this thinking about niche basics got me thinking; what other basic lands am I unaware of that are worth money? 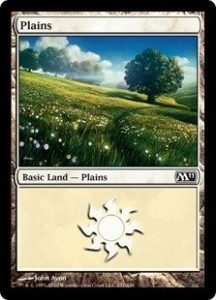 The value of basic lands can very easily slide under the radar due to the difficulty of actually looking up their value. 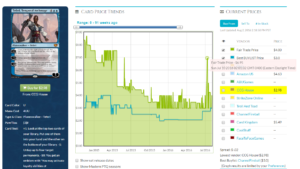 What app do you use when trading or looking up card prices on the go? I’m assuming a lot of you use MTGFamiliar; a universal free app that also has a life counter, round timer, and card search functionality. 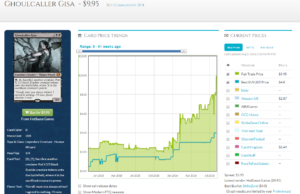 While it’s still pulling data from the “TCG mid” metric instead of “TCG Market Price”, it’s still one of the most common smartphone sources of looking up card prices in my experience. 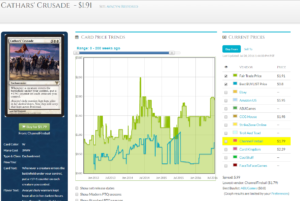 Go ahead, try to look up the prices of different basic lands using this app. Mhmm. 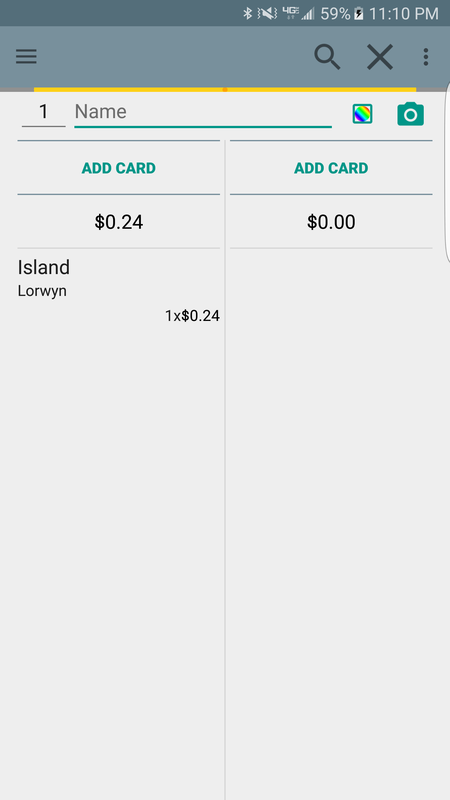 In this case specifically, it looks like the app only pulls the data for the first numerical island of the set; it’s looking up Island 286 when 287 is the Glen Elendra one. If we want to see all four of the Lorwyn Islands to compare, we have to go to the actual TCGplayer website and grab a microscope. Now considering it doesn’t seem very practical to do this for every single basic land. While it won’t be a comprehensive list, I’ve been using StarCityGames’ buylist to easily find a general idea of which art styles will get you more cash. 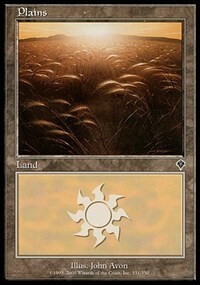 According to SCG, people really like fields of wheat that include the horizon towards the back of the art. I dunno, I guess that’s popular. 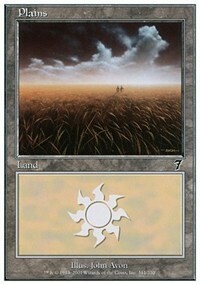 Thunderstorm Plains from Odyssey is 10 cents nonfoil and two whole dollars for the foil. 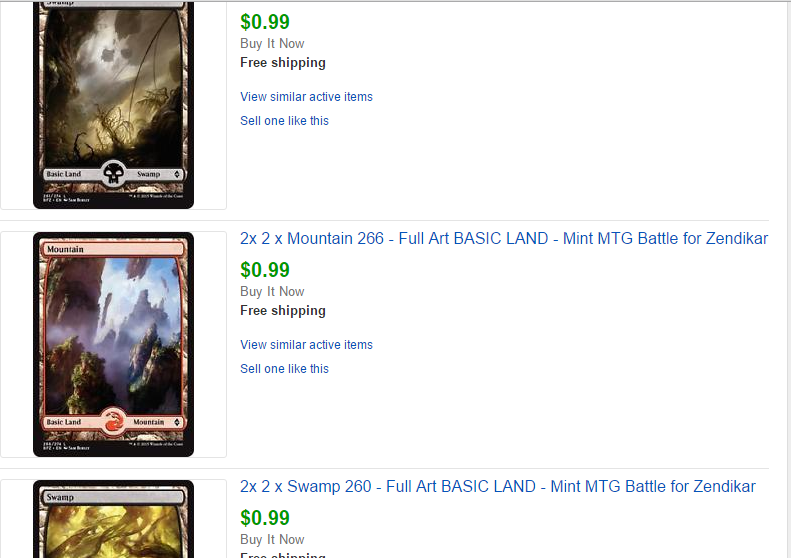 This isn’t even only concerning older basics; one of the foil Mountains from Khans of Tarkir is $1 on SCG buylist. Unfortunately, this “check the SCG buylist to see if a bunch of other people enjoy the art” doesn’t always work out. If you’re picking through your bulk foil basics and have a hunch, you’ll likely have to do the grunt work of searching for that specific art on TCGplayer. For example, I recently purchased a Kami of the Crescent Moon Commander deck where all of the Islands were matching foils. While SCG doesn’t have a buy price for any foil Mirrodin lands, it looks like they go for at least $2 on TCGplayer for NM copies. The struggle will be finding another player who wants to foil out their deck in that specific way, but I don’t mind waiting. 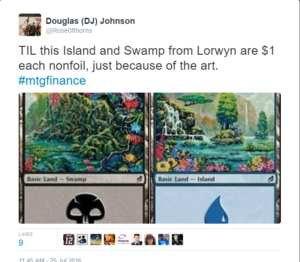 I wouldn’t be closing out this article unless I talked about being a “local buylist”, and I’m sure some of you are wondering what you should be paying when you’re brought foil basic lands. I personally pay 25 cents cash on all bulk foil basics that come my way, and I trade for them at three for $1. 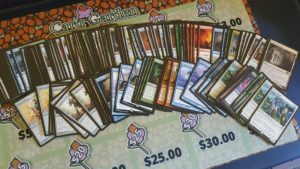 With the new information in this article, I’ll definitely pay a bit more attention to which basic lands I’m picking up, and see if I can increase my buy prices on certain arts that will be easier to move to vendors or other players at an increased rate. As soon as I finish this article, I’m going to go through my own box of foil basic lands, and see what goodies I can pull out that I didn’t even know I had. These have probably been sitting in my box for at least 4 years. I might be biased because I play Child of Alara as a Commander, but I really, really like High Market as a long term pick at sub $1. I know Jason Alt has mentioned this card on the podcast and in his articles in the past couple of weeks, and I couldn’t agree more. It’s a long term pick, but I think we see it creep back up to $3 in a year or two. I’ve got nothing to write about this week. I had nothing to write about last week either, which is why I decided to burn up one of my vacation days and relax while the rest of the internet world burned. I could have just copied and pasted all of my tweets about the Reserved List and shambled together some makeshift satire article, but my heart really wouldn’t have been in it. Two weeks ago I continued on my discussion about in Customer Service #mtgfinance, so go ahead and catch up on those two links if you’re looking for an additional dose of content, while I think of something to write for this wonderful Thursday. 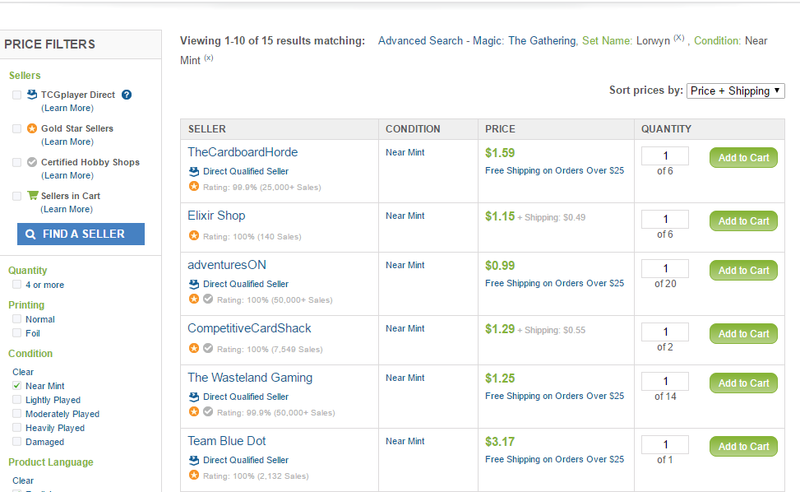 This would have been a timely opportunity to write about the new TCGplayer Direct buylist that just launched this week, but I feel that I already covered a large majority of the questions that I’ve been approached with so far. That article can be found right here, but it can be summarized in a few points. I’m not worried about the TCGplayer buylist encouraging locals to sell cards online as opposed to bringing me their collections for cash. 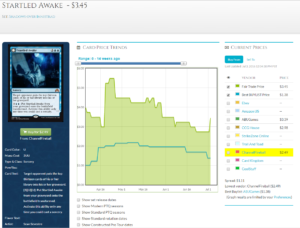 The conveniences you offer by having cash in hand and being available at odd hours of the day/night more than make up for the slightly higher percentages that TCGplayer’s buylisting vendors will offer. I expect that your ability and willingness to buy “pretty much everything,” including bulk common/uncommons and bulk rares will sway people in your favor who want to get rid of everything in one fell swoop. I don’t think many (if any) stores will be able to offer the competitive buy prices that the Blueprint will offer for your jank common and uncommon buylistable stuff. Thomas is awesome to deal with. It’s been a little while since I’ve covered bulk rares as a topic, but there are a couple more things I wanted to mention about them that don’t warrant an entire article’s worth of content. 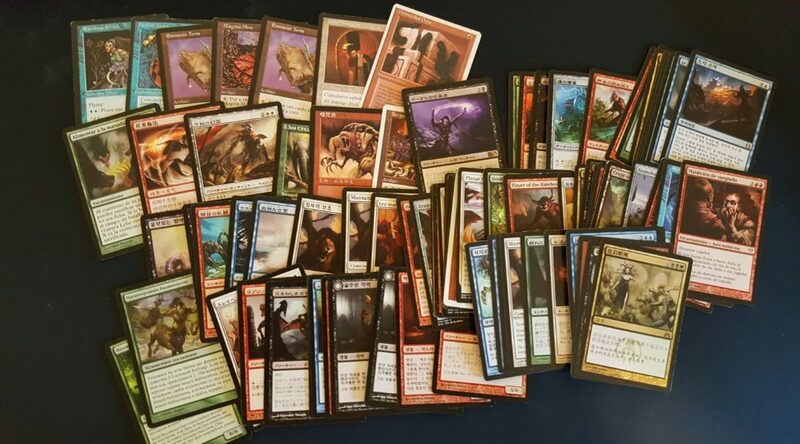 I know that I enjoy proclaiming that I “buy anything and everything” as a personal buylist, and I especially enjoy buying bulk rares because of how safe of an investment they are. However, there are a few bulk rares that I actually advocate staying away from and I don’t think I’ve made that clear in any of my previous articles where I suggested you buy dime rares. Stay away from foreign bulk rares. Almost all of the non-competitive players I’ve dealt with will avoid foreign cards that they and their friends are unable to read. As such, non-English bulk rares are extremely difficult to sell in my 25 cent boxes, and I’m always happy to move them for dimes myself just to get rid of them. Stay away from moderately played bulk rares. Maybe this is just a personal preference, but I really like my bulk rare boxes to all contain NM/SP cards. Sometimes I’ll leave in MP cards that have a retail price of $1 to effectively price the card at a quarter, but in reality it’s extremely hard to move played bulk rares. 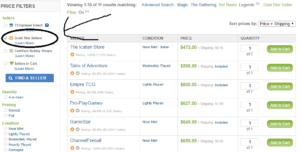 Basically, we don’t want anything that we can’t easily resell to SCG. I have all of my played and foreign bulk rares in a large box that I try to move for 10 cents each. 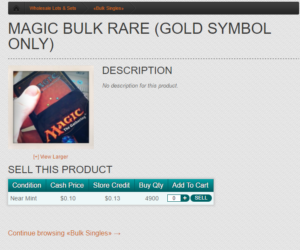 Stay away from non-gold symbol bulk rares. Okay, this one’s a bit more unique. While these are still technically rares, they’re pretty hard to move when the non-competitive players think that you just accidentally left commons and uncommons in the box. Again, if the big-box stores don’t want them then neither do we. Channelfireball states explicitly that they only want gold symbol bulk rares, so feel free to turn away any 5th edition Shivan Dragons. I’d rather pay a dime for a Necropolis Fiend any day of the week. If you started reading my articles relatively recently, you might be confused by the lack of attention I’ve paid towards new set releases. I’ve yet to mention Eldritch Moon in any of my articles, and I tend to avoid picking out cards that I think will spike hard in Standard. It’s not that I hate the format, I just don’t trust my own card evaluations well enough to justify putting them onto internet pages for you to read and trust. What I *am* good at, is picking out cards that most other players will write off as “just a garbage bulk rare”, and letting you know that the buylist is actually five times what you might have thought it was. Let’s grab a handful of cards out of a pile that I paid 10 cents each for, and take a look-see. There’s a lot of cards in this pile, and you might be wondering “Really?” on some of these cards that are all getting tossed into my “$1 each or six for $5” box. Yep. This guy is absolutely a $1 card, and I love being shipped bulk lots off Facebook when I pay 10 cents each for these babies. I don’t know the exact deck this card goes in, which is weird because most casual only cards are pretty obvious where they’re being played. 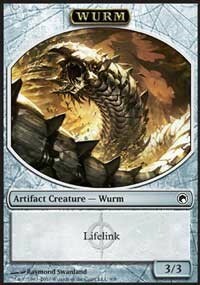 Maybe this is just a cheap alternative to Emrakul for the rampy Timmys? I don’t know, but I’m okay with it. This one is a bit more obvious. 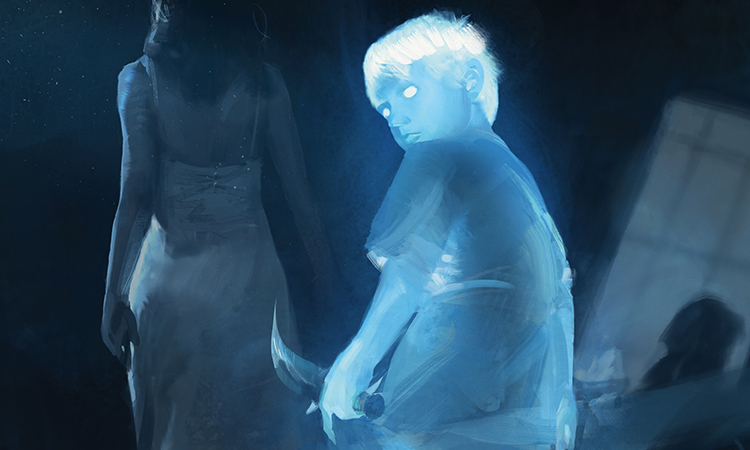 Everyone loves Tokens, and this card is a Commander gem in strategies like Ghave. Even though it was thrown in the mono-white deck in 2014, its’ shaken off that reprint and continues to creep upward, while more competitive Spikes blissfully throw it into boxes to sell for a dime. Oh, how the mighty have fallen. 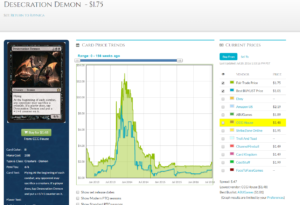 That graph gives me a chuckle, because people are always surprised when I buy their Desecration Demon for more than double what they expected before I throw it into the dollar box to sell off later. While I was initially confused as to why this didn’t drop to true bulk after rotation, I have a working theory that the demand from this card comes from being one of the few demons with converted mana cost of 4 or less that actually fits into “Demon tribal”, before you get into the big and scary demons where you have a lot more options on the curve. This one might be a bit more known because of its’ strong applications in Commander…. Oh wait, it probably wouldn’t. I recently played against an Olivia deck that ran this card, and I had to read it twice to make sure it was as good as they said it was. Yes, you drain each opponent, and you gain all the life that you stole. It’s Gray Merchant for people who like Vampires, and there’s a lot of people who like Vampires. 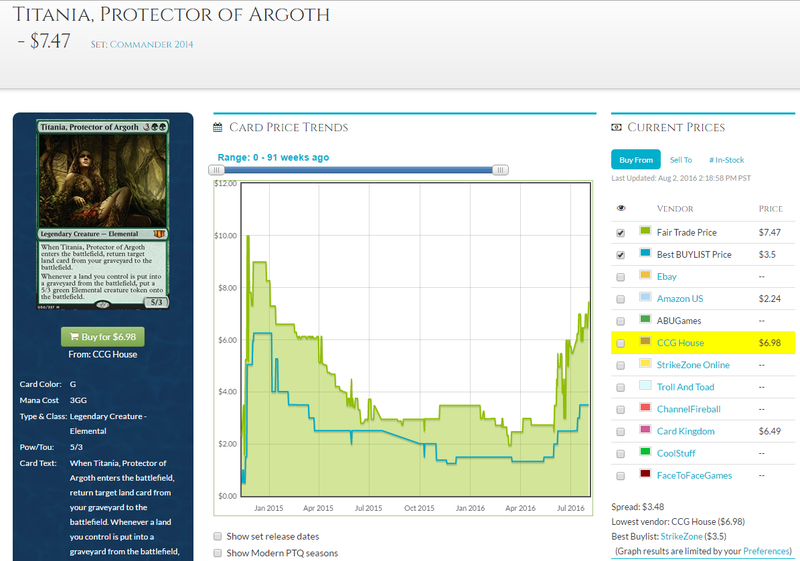 This card has been a dollar for a while as you can see from the graph,but its’ gained some recent traction from being a seven year old vampire with no reprints, while having a random protection that ends up being very relevant. I really don’t care about Eldritch Moon. I likely won’t care until a bunch of the cards in the set drop to bulk rare status, so I can start picking them up for a dollar (plus 20 cents) a dozen. It’s very unlikely that Arachnogenesis goes any lower than the $2.50 that it currently sits at. I’m not saying it spikes, but I’m also not saying that there wasn’t just a Legendary Spider made that people have been waiting for. Welcome back, friends. I spent the last weekend moving into a new apartment, so I didn’t have a whole time to spend on Magic. Thankfully I’ve still got some decent ideas leftover from last week’s article, so we’re going to talk about customer service in this industry a bit more. I’m sure you all want to hear about Craig Berry and the whole Reserved List buyout, but Corbin has already covered that extensively in an interesting interview with the man himself. I’d really recommend checking that out. Last week we went over a couple of the scenarios where things can go wrong in the process of buying or selling a Magic card, and the proper procedures for both the buyer and seller to resolve things as peacefully as possible without resorting to insults and witch hunts. I’d like to start this article on a brighter note, and provide sellers with some ideas that can be used to really brighten a buyers’ day and earn those coveted five-star reviews that we all want to secure. As such, this article will be a bit more “seller focused” because that’s where I have more experience. Maybe this is getting to be more common practice, but I don’t buy enough singles online to personally know whether or not that’s true. What I do know is I’ve really started to enjoy shipping small little tokens of appreciation with my orders, often in the form of literal Token cards. While I’m not about to become Santa Claus and start throwing in the Wurm tokens for Wurmcoil Engine, a single Plant token for their Nissa, Voice of Zendikar can go a long way. Seriously, these things are $3 each. On a similar note, how many of you ship out the appropriate checklist card when you sell a double-faced card? While they only go on TCGplayer for pennies, you save someone from having to pay $.25 or $.50 at their LGS if you just throw in the appropriate checklist card. While someone purchasing an Archangel Avacyn is probably playing with opaque sleeves at a competitive event, there are a non-zero number of people who prefer to avoid the judge call entirely and just use checklist cards in their opaque sleeves while reserving the actual card in a clear sleeve in their deckbox for an easy flip back and forth. 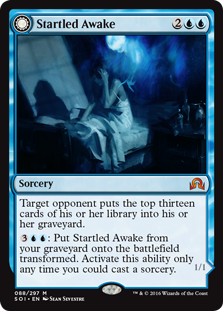 My favorite card to ship with the matching checklist is definitely Startled Awake. Do you know who’s casting this card? I’ll give you a hint; they probably don’t play with opaque sleeves, if any sleeves at all. That person will be ecstatic that they don’t need to hunt down the checklist card. 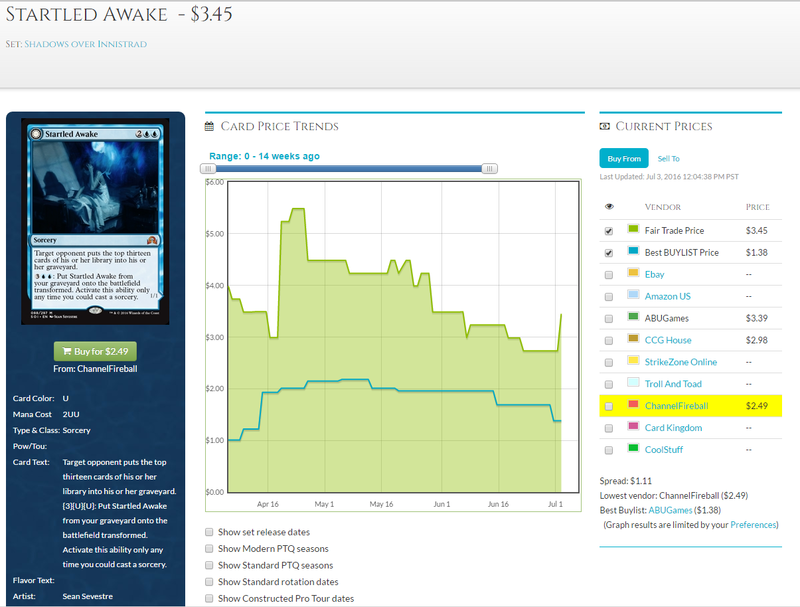 Now that we’re on the subject, I’m absolutely fine with holding Startled Awake at the $3 they’re at now. 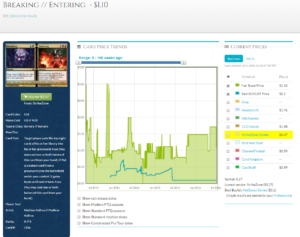 It’s not quite at the point where I’d actually feel comfortable listing it on TCGplayer, because that flat .50 fee per transaction makes selling cards under $5 less than appetizing to low level sellers. 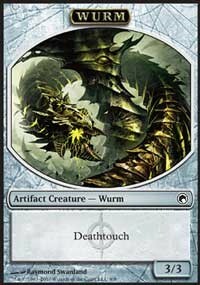 Remember that there approximately the same number of these in the market right now as there are Archangel Avacyn. This is a casual all-star with ridiculously low supply, which helps beat the test that Breaking // Entering fails to pass. 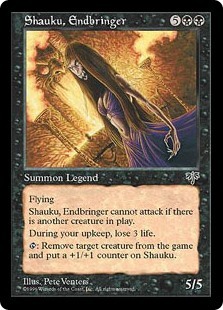 Being a launch promo during Dragon’s Maze kind of kills all of the potential that one had. Anyway, where were we? Oh, right. Customer service stuff. Now here’s a situation that’s never happened to me and I’m very thankful that I haven’t had to deal with it. Every now and then, human error gets the best of us and two orders get shipped to the wrong addresses. The Modern player who ordered four Life from the Loams gets sent a foil Kaalia of the Vaast, and vice versa for the aspiring Commander player who just wants to bash with dragons and angels. Just great. So what do you do? Do you ask them both to ship the cards back to you? You could just ask them to ship to each other…..
Do not do this. Ever. Nope nope nope nope nope. Do not ever put yourself or the buyer at that kind of risk. You don’t want to be giving out other people’s addresses, and you don’t want buyer A screwing up the shipping process while they end up getting their card safe and sound, while buyer B is screwed over. You also shouldn’t be sending them money to cover the cost of the PayPal shipping label. Here’s what you need to do to make this right on both ends: It will cost you a decent chunk of money, but it’s your fault multiplied by two in the first place. 1. Print out a total of four shipping labels to start with. One of these is going to buyer A, and one is going to buyer B. The other two shipping labels are addressed to you as the seller. 2. Place the necessary shipping materials inside each of two bubble mailers. That includes one other bubble mailer, the necessary sleeves, toploaders, and/or a team bag. Whatever is needed to safely package the card and return it to you. 3. Ask each buyer to safely and securely package the order just as it came, and then reseal it in the bubble mailer they received, taping the pre-paid shipping label to the envelope. Those mailers go back to you as the seller, so that you can then re-ship the correct orders to the correct buyers. None of this can be done without tracking, because this gives buyers an opportunity to lose or even steal cards without you being able to provide evidence of what happened. Cover yourself every step of the way, and take the loss like an adult. 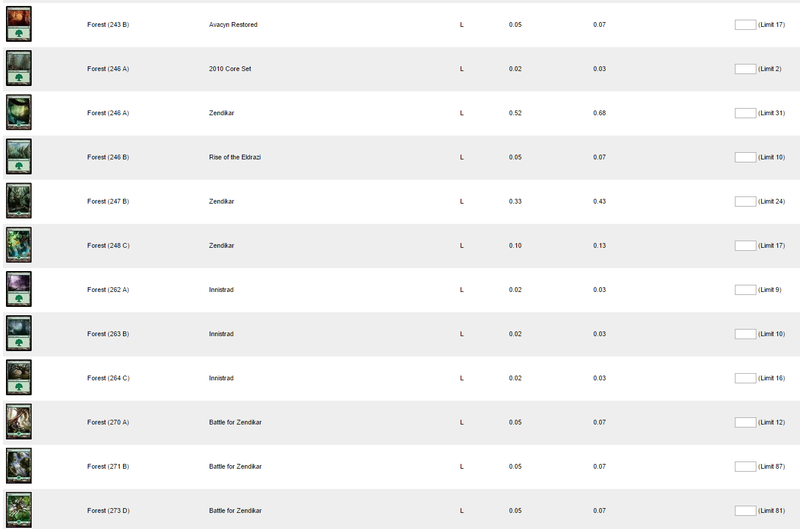 Of course, the exact method listed above can easily cost you $10 in shipping materials alone. For this reason, it’s only really worth it for you to do if the cards shipped to each party are valuable enough to care about being tracked. In the case of smaller orders (think $4-5), it might just be easier and cheaper to just purchase a replacement copy of each buyer’s order, and ship it directly to them via PWE, then tell them to keep the misplaced order as compensation for the trouble. So what’s the end goal here? As a seller, I’ve technically given you a bunch of ways to lose money in the past two articles. 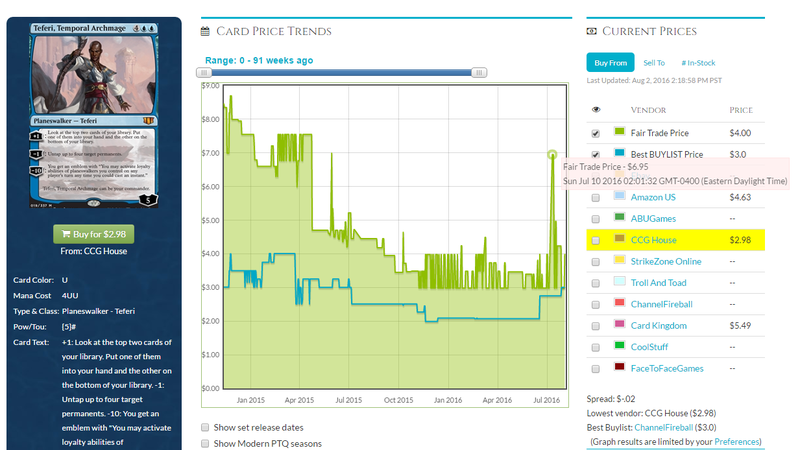 Paying buyers for condition discrepancies, lost orders, and throwing in free cards? Who would want to do that? If you ignore the whole “hoping for repeat customers” reason, there’s still tangible benefits for having a high feedback rating on TCGplayer. 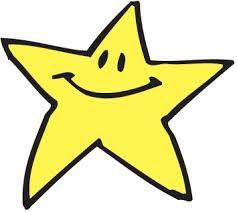 If you start selling a decent number of cards on TCGplayer, you might want to work your way up to “Gold Star Seller” status. I’ll let you read TCGplayer’s description of what that entails. That middle statement is the really relevant part to us. 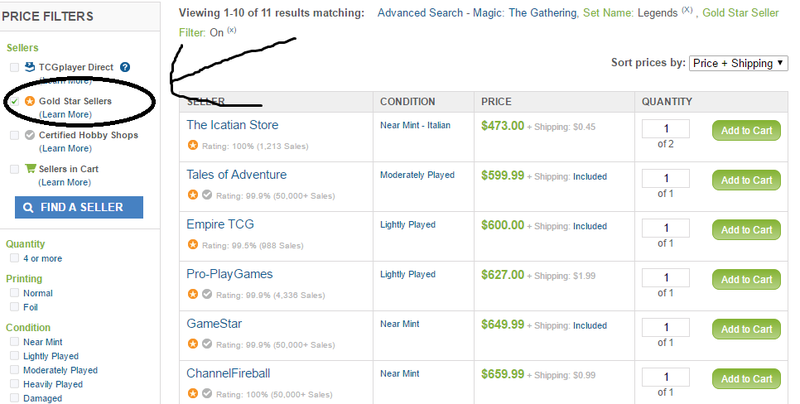 When you’re looking to buy on TCGplayer, you can set a filter so that you’re only looking at “Gold Star Seller”s. Alternatively, you can use positive feedback from eBay or TCGplayer as references when starting to sell via Facebook or Twitter. One of the downsides of trying to start out selling on social media is a need for checkable references for accountability. 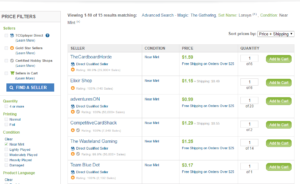 Being able to prove your reputation and connect it to a “tangible” online store that can receive feedback and be named in case of trouble can help get you started in the market of Facebook and Twitter, which is where I always recommend trying to pick up singles at less than TCGplayer low prices.